Have you heard of this game yet? You may or may not have known that there is a new game to play on the Club Penguin island. 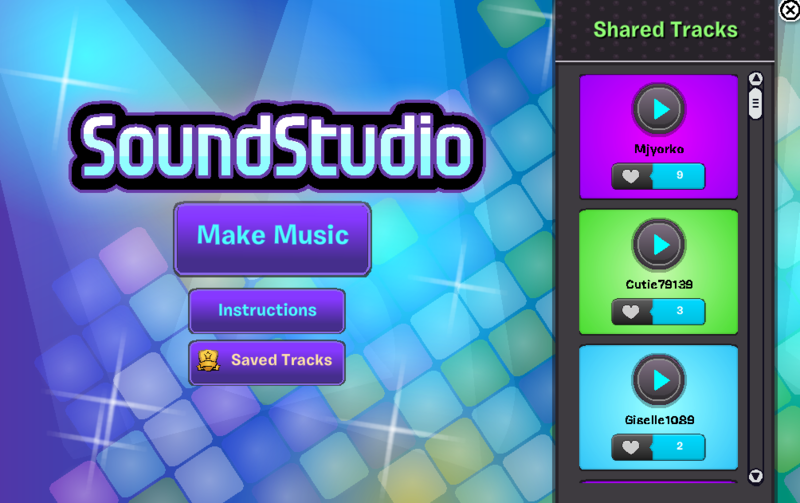 This new game is called the SoundStudio and it was released during the Music Jam party of July 2014. Related: Ever wanted to play SoundStudio on-the-go? Now you can! Since it is not possible to earn coins, there's really no cheats for this game. However, for all you new players, I can show you how everything works. So to get to the game you need to go into the Dance Club and click on the SoundStudio table. A screen will appear and you'll see other penguins music on the right side. 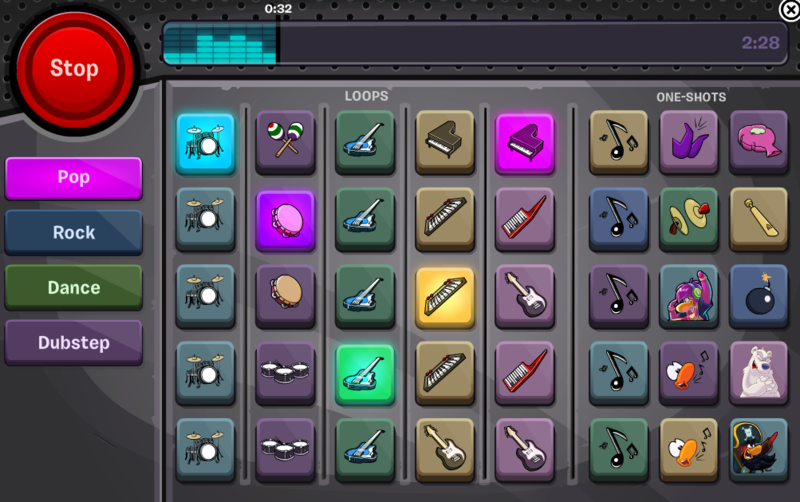 Just click 'Make Music' to begin making your own jam! You'll be led to another screen with a ton of instruments. 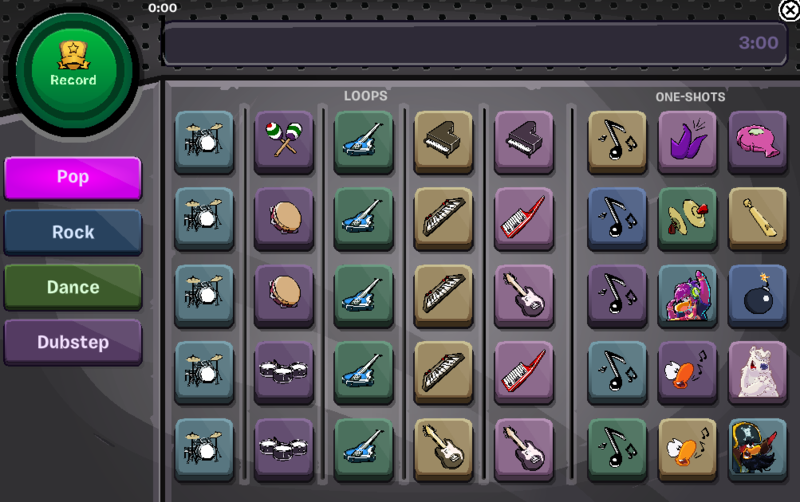 You can click 1 instrument on each row to add to your music. Each instrument plays over and over so the music will continue as long as you allow it to. The sounds on the far right are extra sounds you can add. If you're getting tired of these instruments you can also switch to completely different sounds by clicking on the big buttons on the left. Each button has instruments based on a certain genre of music. Just play around with the sounds and maybe you'll find a combination you like. If you find the perfect mix, you can go ahead and start recording. 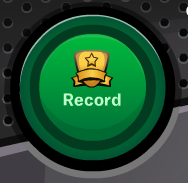 To begin the recording of your just click the big green button at the top left corner of your screen. You can change the music while it's recording by the way. Note: Keep in mind that recording, saving, and showcasing your music is for members only! Once you're done recording just click the stop button at the top left corner and a box will appear on your screen. This is where you name your creation and save it. Club Penguin does not allow you to name your songs inappropriate names so don't even think about it! 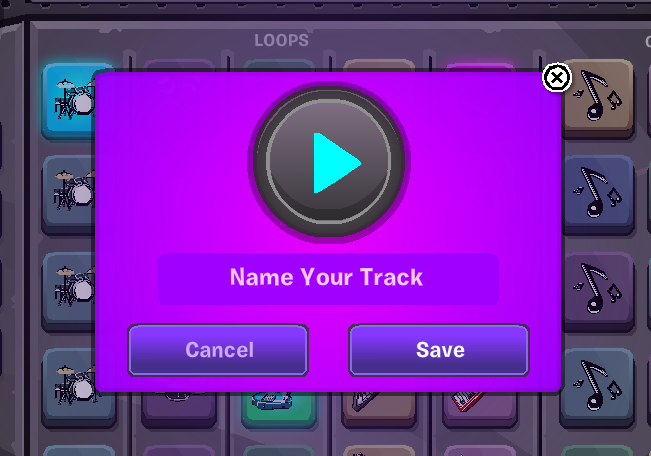 Once you're done naming your track it'll appear on your list of recordings. If you notice, there's a on/off switch next to each recording. 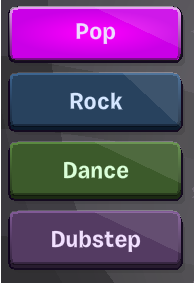 If you would like your recording to be heard by everyone in the Dance Club then switch the switch to 'on'. Note: You can go anywhere around the island and your recording will still be playing in the Dance Club. Your recording will only stop playing if you log out of Club Penguin. no I used to be a member and it ran out why why why! im not hacking but here is a member code for you if you want it reply.